A class can also be declared to be the friend of some other class. 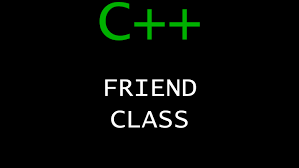 When we create a friend class then all the member functions of the friend class also become the friend of the other class. This requires the condition that the friend becoming class must be first declared or defined. What an awesome way to explain this-now I know evnytrhieg!